Hi, Tink! 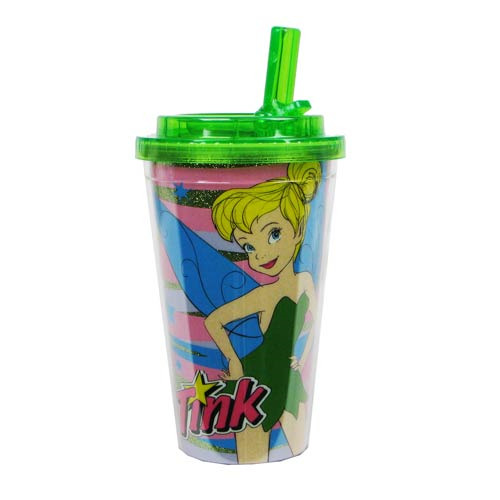 With a flip-straw top, this colorful Disney Fairies Tinker Bell Green Glitter Plastic Flip-Straw Travel Cup holds 16 ounces and features Peter Pan's fairy friend with the word "Tink." Ages 14 and up!